has been in business on Maui for over 15 years. We have developed a company culture based on excellence and personal accountability, and have an established team of mature, dedicated project managers and craftsmen to build distinctive, quality custom homes. We have proven processes not only for building solid, well crafted homes but also for communicating with clients and other stakeholders throughout the entire design and construction processes. We use a web-based portal that our clients can access anywhere in the world to make selections, view recent progress photos and project milestones, as well as see items that need attention. We offer an exceptional level of service and responsiveness to get projects done “on time and on budget” while making the process fun and enjoyable. Learn more about us, and let us show you how we can help turn your vision into the home of your dreams. 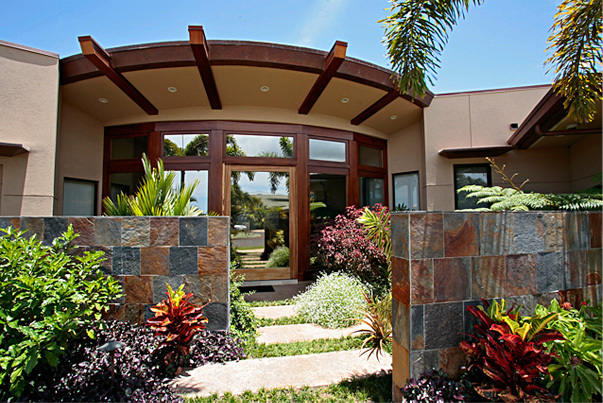 Bill Darrah Builders is a licensed, full-service general contractor and has built some of the most beautiful and unique homes on Maui. The focus of our business is on custom homes of all sizes and budgets, as well as remodeling and renovation work. Our approach is comprehensive, and we have the resources and experience to do ground-up construction including all necessary project planning and management. Take a look at some of our recent projects featured in the showcases below. For more information about these or any of our other projects, please feel free to contact us directly.